Spring Conference. Join Organic Growers School on Saturday night at 5:30pm, directly following the last class, for an exclusive reception and organic, farm-to-table dinner in an elegant setting on the UNC Asheville campus. Celebrate local food and farmers as we extend the joy and connection of the day. All proceeds benefit the important work of Organic Growers School, and tickets can be purchased on a sliding scale. Menu: Expect four delicious courses of expertly curated local foods: colorful samplers showcasing the best in local charcuterie, cheeses, and pickles, unique presentation and mouth watering main dishes for all palettes, plus delectable dessert. The menu promises to showcase spring’s freshness, and WNC’s bounty. Entree: Grass fed beef short rib and oxtail with pan jus. root vegetable hash. bamboo shoots au gratin. Vegan entree: Chorizo-style seitan with mushroom. root vegetable hash. bamboo shoots au gratin. Dessert: Pistachio-crusted poached apple. goat cheese. honey. violet. The menu is curated by Meredith Leigh. Meredith Leigh is a food and farming specialist who has been involved with many commercial and homestead herds of cattle, poultry, swine, sheep, and goats over the last 12 years. She has worked as a butcher, chef, teacher, nonprofit executive director and homesteader, all in search of realistic solutions for sustainable food. She writes, works, cooks, and eats with the goal of helping others to understand that food is the most fundamental common denominator to our collective and individual quality of life. 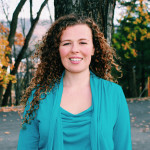 She is the author of The Ethical Meat Handbook, Complete home butchery, charcuterie and cooking for the conscious omnivore, and was the Executive Director and Spring Conference Coordinator of Organic Growers School for more than 10 years. Cost: Tickets to the Dine with Pierre & OGS can be purchased on a sliding scale from $75 to $125 per diner. Your Generosity serves to spread support and education for organic growing in our region. Organic Growers School’s mission is to inspire, educate, and support people to farm, garden, and live organically. If you wish to give additional donations to OGS, there is an option in the registration process. Registration: You can register for the dinner with your Spring Conference Registration or you may register for the dinner as a stand-alone event.